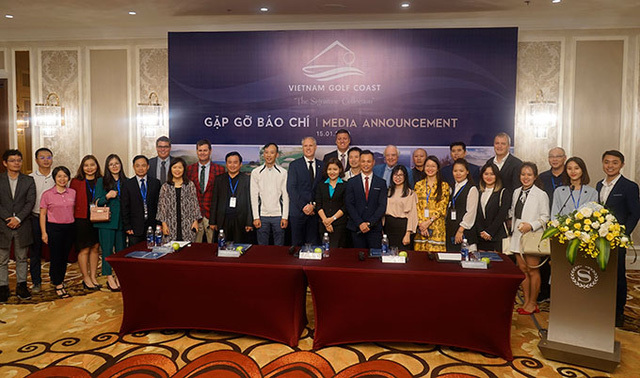 On January 15 the Vietnam Golf Coast was officially launched in Da Nang, linking seven of the region’s top-rated signature courses: Laguna Golf Lang Co (designed by Sir Nick Faldo), Ba Na Hills Golf Club (designed by Luke Donald), Montgomerie Links (designed by Colin Montgomerie), BRG Da Nang Golf Resort (designed by Greg Norman and Jack Nicklaus), Vinpearl Golf Nam Hoi An (IMG Design), and the soon-to-open Hoiana Shores Golf Club (designed by Robert Trent Jones Jr.), promising to capture the attention of avid golfers worldwide. Vietnam’s courses have garnered a slew of accolades in recent years. The country was singled out as “Asia’s Best Golf Destination” at the World Golf Awards in 2017 and 2018. Golf Digest named Laguna Lang Co Golf Resort among the “Best Golf Resorts in Asia” and BRG Da Nang Golf Resort placed among the publication’s list of “World’s 100 Best Golf Courses” in 2018. Ba Na Hills Golf Club picked up the trophy as “Asia’s Best Golf Club” at the World Golf Awards 2018, while Montgomerie Links took home the title of “Best Golf Course in Vietnam” at the Asian Golf Awards in 2018. The Vinpearl Golf Nam Hoi An recently played host to the qualification rounds of the Vinpearl World Amateur Golfers Championship (WAGC), after which the Vietnam team successfully defended its championship title at WAGC 2018 in Malaysia. Mr. Nguyen Xuan Binh, Deputy Director of the Da Nang Department of Tourism, underscored central Vietnam’s growing attractions for golfers. “With all these internationally-renowned golf courses in one place, it’s a great chance for golfers from all over the world to come and decide which is their favorite,” he said.